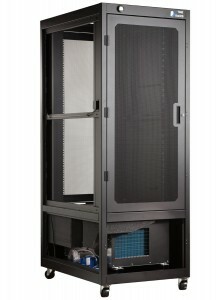 The Uptime Racks ECC13 offers an exceptional cooling solution for network servers, telecommunication equipment, or any other heat producing electronic equipment. This expensive equipment generates enormous amounts of heat, as a result the elevated temperatures will reduce lifespan, reduce reliability, and create a slower network. Studies have shown that every 10°C temperature rise in nominal temperatures produces a 50 percent reduction in the lifetime and long-term reliability of equipment. Utilizing the ECC13 will deliver an immediate return on investment. The ECC13 can be deployed in a wide variety of applications, either as the primary solution with 24/7 cooling, or as a supplemental solution, such as cooling on nights and weekends when the building’s main air conditioner is shut off. 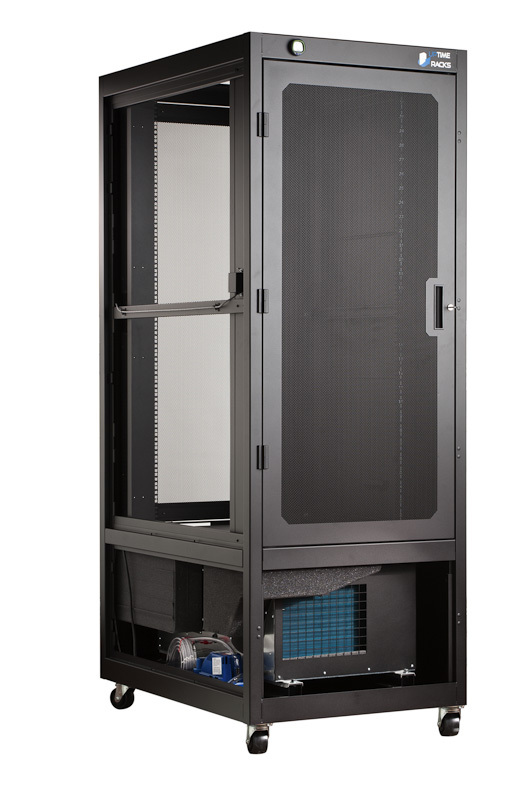 The ECC13 excels at cooling “hot spots” within larger data centers as well, or used as redundancy for mission critical networks.